After the Second World War, the focus of psychology was on treating abnormal behaviors and the resulting mental illnesses. Dissatisfied with this approach, humanist psychologists, such as Abraham Maslow, Carl Rogers, and Eric Fromm helped renew interest in the more positive aspects of human nature. Seligman’s daughter, who was 5 at the time, had been trying to get her father’s attention when he turned around and snapped at her. Unhappy with this response, his daughter asked him whether or not he remembered how she used to whine when she was 3 and 4? She told him that when she turned 5 she decided to stop – and if she was able to stop whining, then he was able to stop being a grouch! This revelation of developing what was right, rather than fixating on what was wrong, sparked what Seligman would go on to promote during his career as APA president—the message that we should be teaching our children and ourselves to look at our strengths rather than our weaknesses (Seligman M & Csikszentmihalyi M, 2000). Positive psychology can be viewed as the “fourth wave” in the evolution of psychology, the first 3 waves being, respectively, the disease model, behaviorism, and humanistic psychology. This approach contrasts with how, in its early years (the second half the 19th century and the first half of the 20th), the practice of psychology focused mainly on cure and treatment of psychic ailments, which is a decidedly negative focus. This orientation is undoubtedly important and useful, and is associated with some of greatest names in the field such as Freud, Adler, and Jung. Over time, however, psychology began to acquire a negative outlook and stereotype, with its focus on the darkest chambers of the human mind and the near total exclusion of its sunlit highlands. 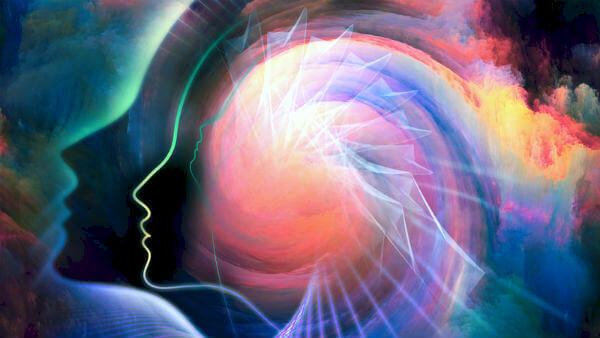 Positive psychology, as the name suggests, is psychology with a positive orientation. It does not imply that the rest of psychology is unhelpful or all negative and, in fact, the term “psychology as usual” has been coined to denote the rest of psychology. To understand the roots of positive psychology, we have to revisit the three waves of psychology that came before that. After all, it was not until recently that the field of psychology began expanding its research criteria to study what makes people thrive, instead of what makes people sick. During the second half of the 19th century and the early part of the 20th, psychology was concerned with curing mental disorders, such as schizophrenia and human complexes of various kinds (inferiority, power, Electra, Oedipus, etc.). And why not? There has always been, and will perhaps always be, a significant incidence of mental illness in all communities, irrespective of race or religion, caste or creed. The attempt of psychologists to cure these ailments was quite natural and laudable, and the work of early psychologists, such as Sigmund Freud, Adler, and Carl Jung was indeed very effective. (Note: It must be added here that of these pioneers, the big 3 of Vienna as they were called, Carl Jung was perhaps the earliest psychologist to recognize, and be troubled by, psychology’s negative focus). In their rush to repair damage, it never occurred to them to develop interventions to make people happier. B. F. Skinner of Harvard University was the originator, along with John B. Watson and Ivan Pavlov, of the behavioral approach in psychology. Skinner believed that free will was an illusion, and human behavior was largely dependent on the consequences of our previous actions. If a particular behavior attracted the right type of reinforcement it had a high probability of being repeated, and if, on the other hand, the behavior resulted in punishment it had a good chance of not being repeated (Schacter, Daniel L., and Gilbert Daniel, 2011). Skinner believed that given the right structure of rewards and punishments, human behavior could be totally modified in an almost mechanical sense. This theory undoubtedly has a lot of merits, particularly the idea of operant conditioning—the influencing and eliciting desired behavior, through a well-conceived reward system. However, the manipulation of behavior that such a properly structured reward system allows is open to gross abuse by autocrats and dictators in terms of oppressing their subjects. And not just in society at large, but in the workplace as well. J E R Staddon and Noam Choksy were among Skinner’s major critics (Staddon, J., 1995; Chomsky, Noam 1959). Furthermore, Skinner’s total rejection of free will is still disturbing. It goes against all that human history stands for—the ultimate, and enduring triumph of the human spirit against overwhelming odds. Criticisms of his theory notwithstanding, Skinner stands tall as a brilliant psychologist and prolific writer. With 21 books and 180 articles to his credit, he was voted the most influential psychologist of the twentieth century in a 2002 survey (Haggbloom, Steven J. et. al, 2002). This wave is known for its two major strands of thought – existentialist psychology (Soren Kierkegaard, Jean-Paul Sartre) and humanistic psychology (Abraham Maslow and Carl Rogers). According to Sartre, every human being is responsible for working out his identity and his life’s meaning through the interaction between himself and his surroundings. No one else can do it for him, least of all a non-existent God. For this reason, meaning is something truly unique to each person – separate and independent (Jean-Paul Sartre, 1946). One cannot quarrel with this strand of thought, particularly the responsibility of the individual for his own destiny, but the underlying atheism is dampening. What about people who cannot find their identity and their life’s meaning on their own? Uncontrollable anxiety would be inevitable, particularly in the absence of faith in a supernatural being, an idea rejected by existentialism. This anxiety is recognized in psychotherapy as “existential anxiety” and has been of major therapeutic concern of many leading psychologists, particularly Victor Frankl, the originator of logo-therapy. “What I really need is to get clear about what I must do, not what I must know, except insofar as knowledge must precede every act. What matters is to find a purpose, to see what it really is that God wills that I shall do; the crucial thing is to find a truth which is truth for me, to find the idea for which I am willing to live and die. (…) I certainly do not deny that I still accept an imperative of knowledge and that through it men may be influenced, but then it must come alive in me, and this is what I now recognize as the most important of all” (Kierkegaard, Soren, 1962). The humanistic movement was about adding a holistic dimension to psychology. Humanistic psychologists believed that our behavior is determined by our perception of the world around us and its meanings, that we are not simply the product of our environment or biochemistry, and that we are internally influenced and motivated to fulfill our human potential. Humanistic psychology emphasizes the inherent human drive towards self-actualization, the process of realizing and expressing one’s own capabilities and creativity. This approach rose to prominence in the mid-20th century in response to the limitations of the disease model in fulfilling the human desire for actualization and a life of meaning (Benjafield, John G., 2010). Human beings are intentional—they aim at goals, are aware that they cause future events, and seek meaning, value, and creativity. It is hard to miss the significant foundation that the humanistic approach has provided for positive psychology. As already pointed out earlier in this article, positive psychology is psychology with a positive orientation, concerned with authentic happiness and the good life. Humanistic psychologist Abraham Maslow maintained that psychology itself does not have an accurate understanding of human potential and that the field tends not to raise the proverbial bar high enough with respect to maximum attainment. “The science of psychology has been far more successful on the negative than on the positive side; it has revealed to us much about man’s shortcomings, his illnesses, his sins, but little about his potentialities, his virtues, his achievable aspirations, or his full psychological height. It is as if psychology had voluntarily restricted itself to only half its rightful jurisdiction, and that the darker, meaner half” (Maslow, 1954, p. 354). While the previous waves of psychology focused on human flaws, overcoming deficiencies, avoiding pain, and escape from unhappiness, positive psychology focuses on well-being, contentment, excitement, cheerfulness, the pursuit of happiness, and meaning in life. The humanistic movement wanted to look at what drives us to want to grow and achieve fulfillment. However, even though their conceptual ideas of human nature did influence the development of positive psychology, they are separate. While the humanistic approach used more qualitative methods, positive psychology is developing a more scientific epistemology of understanding human beings. 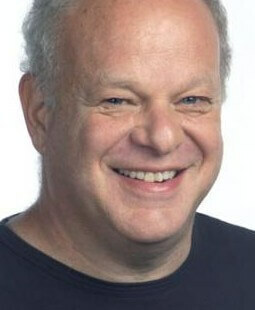 In 1998, Martin Seligman was elected President of the American Psychological Association and it was then that Positive Psychology became the theme of his term as president. He is widely seen as the father of contemporary positive psychology (About Education, 2013). However, while most people see Seligman as the face of Positive Psychology, he didn’t start the field alone and was not the first ‘positive psychologist.’ In fact, there have been many influencers which have contributed to this new era of psychology. James was a philoso pher, physician, and psychologist, and he was the first educator to offer a psychology course in the United States. He argued that in order to thoroughly study a person’s optimal functioning, one has to take in how they personally experience something, otherwise known as their subjective experience. He also saw the importance of combining both positivistic and phonological methodology, which is what many now refer to as “radical empiricism,” because he was interested in what was objective and observable. 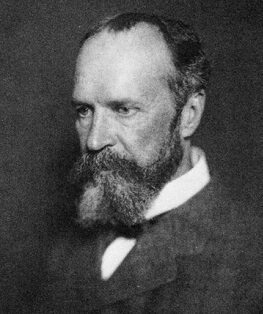 Despite this, many consider James to be America’s “first positive psychologist” (Froh, 2004) because of his deep interest in the subjectivity of a person and because he believed that “objectivity is based on intense subjectivity” (2004). 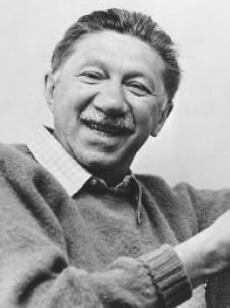 While the entire 3rd Wave of Humanistic Psychology played a vital role in providing Positive Psychology with foundational concepts, there was no greater influence from the approach then Abraham Maslow. In fact, the term “positive psychology” was first coined by Maslow, in his 1954 book “Motivation and Personality.” Maslow did not like how psychology concerned itself mostly with disorder and dysfunction, arguing that it did not have an accurate understanding of human potential. He emphasized how psychology successfully shows our negative side by revealing much about our illnesses and shortcomings, but not enough of our virtues or aspirations (Maslow, 1954, p. 354). Seligman is an American Psychologist, educator, and author of self-help books. He is famous for his experiments and theory of learned helplessness, as well as for being the founder of Positive Psychology. His work in learned helplessness and pessimistic attitudes garnered an interest in optimism, which led to his work with Christopher Peterson (mentioned below) to create a positive side to the Diagnostic and Statistical Manual of Mental Disorders (DSM). 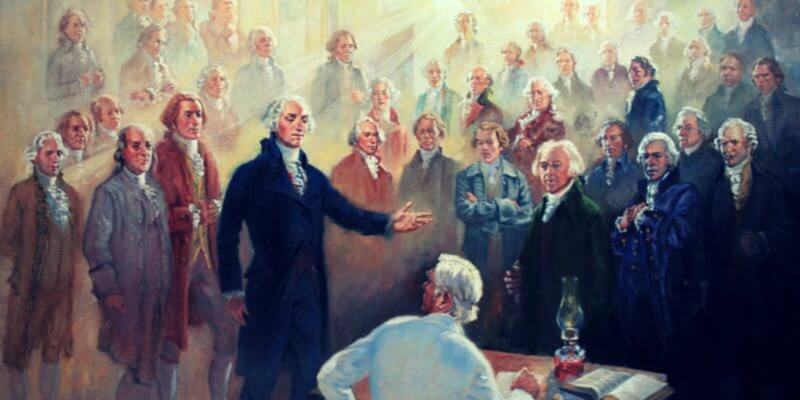 In their research, they looked at different cultures over time to create a list of virtues that are highly valued and included it in their Character Strengths and Virtues section in the DSM: wisdom/knowledge, courage, transcendence, justice, humanity, and temperance. In 1996, he was elected President of the American Psychological Association and the central theme he chose for his term as president was positive psychology. He wanted mental health to be more than just the “absence of illness” and was determined to bring psychology to a new era that focused on what makes people feel happy and fulfilled. Today he is the director of the Positive Psychology Center at the University of Pennsylvania. 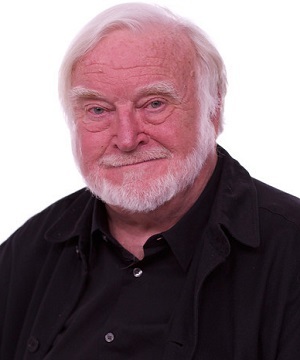 Czikszentmihalyi was born in Hungary in 1934, and like many other people of that time, he was deeply affected by the Second World War. He was stripped from his family and friends as a child and was put in an Italian prison and it was there he had his first idea of working with flow and optimal experience. He had an affinity for painting, noting that the act of creating was sometimes more important than the finished work itself. This led to his fascination with what he called the flow state, and he made it his life’s work to scientifically identify the different methods through which one could achieve such a state. His studies and findings gained much popular interested, and today he is considered one of the founders of positive psychology. Christopher Peterson was the professor of Psychology at the University of Michigan and the former chair of the Clinical Psychology department. He was the co-author of Character Strengths and Virtues with Seligman and is noted for his work in the study of optimism, hope, character, and well-being. The following positive psychology researchers deserve a special mention. However, there are so many positive psychology researchers whose work is shaping the future of positive psychology that they can’t all be mentioned in this article. Check out our full list of Positive Psychology Researchers. Albert Bandura’s self-efficacy theory originated from his social-cognitive theory. It relates to a person’s perception of their ability to reach a goal and the belief that one is capable of performing it in a certain way in order to reach them. This concept has been of great impotence and use in positive psychology. Seligman stated that Clifton followed a similar path that he did when he came up with Strengths-based psychology. He studied successful individuals and wanted to know what they did right to achieve top performance. His work gave employees solid recommendations on how to find a fulfilling career that is suitable for them. He was honored in 2002 by the American Psychological Association with a Presidential Commendation as the Father of Strengths-based Psychology and he has been called the “grandfather of Positive Psychology” (Snyder, Lopez, & Pedrotti, 2015, p. 66). The theory of human motivation known as Self-Determination Theory was developed in 2000 by Edward L. Deci, professor in the Department of Clinical and Social Sciences at the University of Rochester, New York, and Richard M. Ryan, clinical psychologist and Professor at the Institute for Positive Psychology and Education at the Australian Catholic University in Sydney, Australia. Their grounding work on Self-Determination Theory updated the hierarchy of needs originally identified by Abraham Maslow and found that human motivation is founded in three major needs: autonomy, competence, and relatedness (connecting to other people). Dr. Ed Diener, aka “Dr. Happiness”, is a leading researcher in PP who coined the term “Subjective well-being” as the aspect of happiness that can be measured scientifically. His argument that there is a strong genetic component to happiness has led to a huge amount of data studying the internal and external conditions of happiness and how one can change it. He even researched the relationship between income and well-being, as well as cultural influences on well-being. His publications have been cited over 98,000 times and his fundamental research on the subject is what earned him his nickname. He has worked with researchers Daniel Kahneman and Martin Seligman and is a senior scientist for The Gallup Organization. Dweck conducted research on the notion of growth vs. fixed mindset. It has been used with parents, teams, students, entrepreneurs, and business leaders. It is a positive psychology tool that is used widely and praised highly, bringing people more interest to the world of positive psychology. World-renowned author and researcher, Fredrickson made her first contribution to positive psychology research with her theory on positive emotions, The Broaden and Build Theory, which proposes that positive emotions are able to broaden people’s minds, resulting in resources for experiencing well-being and resilience in times of adversity. Since then Fredrickson has done extensive research and produced 2 books. She currently acts as the Director of the Positive Emotions and Psychophysiology Laboratory, University of North Carolina at Chapel Hill. Professor T.S. Srinivasan is currently Visiting Professor in three of India’s national institutes of management – at Lucknow, Kashipur, and Trichy. Formerly, Professor, International Management Institute, at Delhi, India, and at Kiev, Ukraine. 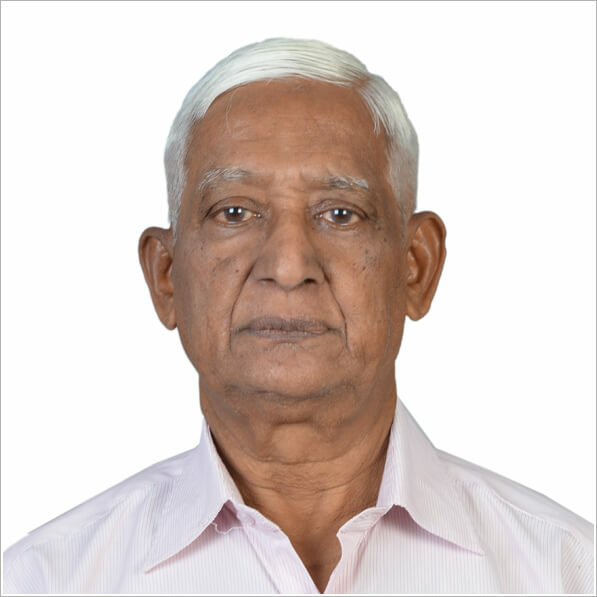 Professor Srinivasan has more than 30 years of experience in management education and training, including industrial experience of twelve years. He also attended the Indian Institute of Management, India’s top business school for nearly half a century. Chomsky, Noam (1959). "Reviews: Verbal behavior by B. F. Skinner". Language 35 (1): 26–58. JSTOR 411334. Haggbloom, Steven J.; Warnick, Jason E.; Jones, Vinessa K.; Yarbrough, Gary L.; Russell, et al. (2002). "The 100 most eminent psychologists of the 20th century". Review of General Psychology 6 (2): 139–152. Jean-Paul Sartre. "Existentialism is a Humanism, Jean-Paul Sartre 1946" . Benjafield, John G. (2010). A History of Psychology: Third Edition. Don Mills, ON: Oxford University Press. pp. 357–362. Bugental, J. (1964). The third force in psychology. Journal of Humanistic Psychology, 4(1), 19-26. Greening, T. (2006). Five basic postulates of humanistic psychology. Journal of Humanistic Psychology, 46(3), 239-239. Froh, J. J. (2004). The History of Positive Psychology: Truth Be Told. Hefferon, K., & Boniwell, I. (2011). Introduction to Positive Psychology. In Positive psychology: Theory, research and applications. Maidenhead, Berkshire: McGraw Hill Open University Press. Kierkegaard, Soren. Works of Love. Harper & Row, Publishers. New York, N.Y. 1962. Snyder, C. R., Lopez, S. J., & Pedrotti, J. T. (2015). Positive psychology: The scientific and practical explorations of human strengths (p. 66). Schacter, Daniel L., and Gilbert Daniel. (2011). Psychology. (2 ed.). New York, 2011. Staddon, J. (1995) On responsibility and punishment. The Atlantic Monthly, Feb., 88−94. Staddon, J. (1999) On responsibility in science and law. Social Philosophy and Policy, 16, 146-174. Reprinted in Responsibility. E. F. Paul, F. D. Miller, & J. Paul (eds. ), 1999. Cambridge University Press, pp. 146−174. In an earlier comment, apparently not deemed publishable, I disagreed with the author of the above article since I have experienced the field of Psychology during the same timeframe as Seligman and do not share his sense of guilt at his own misguided conduct that he learned about from his young daughter. Positive Psychology is an apologia for a completely wrong interpretation of the true Science of Psychology that has been steadily evolving and has never been considered to be entirely what is expressed as different waves. In any event, positive influences were active long before Seligman began graduate school as the author points out (Fromm, Maslow, Rogers). My graduate training began at Stanford under Earnest Hilgard who, having co-authored a textbook deemed the bible of Experimental Psychology, was then involved in the study of hypnosis and had developed a standardized scale for measuring hypnotic susceptibility. That was also a time when Timothy Leary had just left his mark which motivated many students to come by the Hypnosis lab on the hunch that they could get high through Hypnosis a la LSD (the “hook” was hallucinations) which was never the case and never encouraged. In luring a portion of Psychology and other students and graduates away from “traditional” Psychology, Seligman and Leary have a common achievement. I mentioned in my omitt4d comment that students of Experimental Psychology during my educational years preferred to think and work in the humanistic areas of Psychology despite the need to learn about abnormal conditions. I personally conducted developmental research with 1st Graders and never felt that I was dealing with any form of negative process. I was testing a theory of concept development using a game-like apparatus that the children had fun with. Still, at the same age as Seligman, I knew that I would not be fulfilled if all I did was work under experimental conditions and I was not seeking to become a clinician. I also read Allport, Fromm, Erikson, Rogers, Watts and many other positive thinkers for help with keeping my own sense of positive well-being. So, I urge that individual personal discomfort such as Seligman’s dilemma, not become the reason to throw the baby out with the bath water. There are therapeutic applications of positive psychology among the many tool kits offered by the author. It is an excellent model for coaching whether to correct something not going well or to make it even better. I began in experimental psychology which just happened to have an emphasis on behavioral dependent variables. As a matter of fact, in the latter part of the 20th Century a solid grounding in experimentation was considered essential in Psychology education. I never had reason to believe that an empirical approach to behavioral analysis was inherently negative. It was clearly more fun and more fulfilling to think about humanistic concepts and consider the clinical aspects of Psychology where humanism could be applied. I am bothered still by Seligman’s opportunistic derision of what he calls “traditional psychology” while APA president; and, I feel the overabundance of happiness seekers that now fill Psychology class rooms is misguided. I am a staunch supporter of Abraham Maslow as I have personally had to deal with lower order needs while pursuing self-actualization. So far, I have accomplished both. It gets a bit tiresome that MAPP holders are so xenophobic and aloof in their practice of “positive psychology.” I do not see positive psychology as a “field” but an area of subject matter open to all well-trained psychologists to investigate. It has always been a first order priority to maintain scientific criteria in the study of behavior. So-called positive psychology violates this principle by selective application of their “science” to whatever interests them or, as is frequently the case, what is wrong in their lives and in need of correction. The fact that CR Snyder is not mentioned is negligent. He is the creator of Hope Theory.